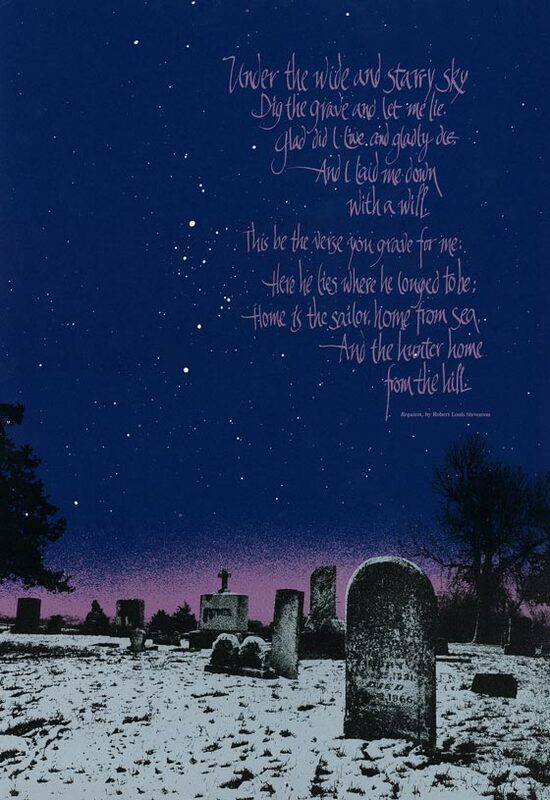 I created the calligraphy for this Robert Louis Stevenson poem and placed it over a posterized image a photo that I shot in very old (and dark) cemetery. I suppose the amazing part is that it was all created before there was Photoshop to make things like this so easy. It was done in a darkroom, which is an experience I sometimes miss in our age of computerized image manipulation.